Do chakras spin clockwise or counterclockwise? In Sanskrit, the word chakra means "wheel." 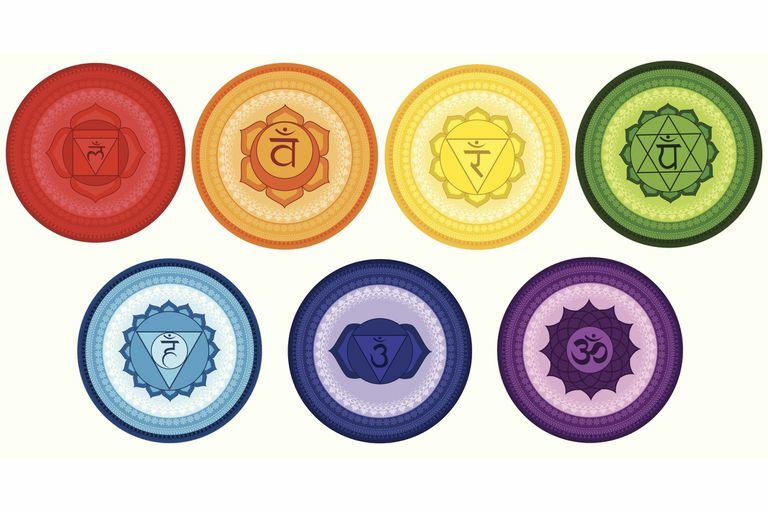 There are seven wheels or energy points in our bodies and each chakra has a distinct character and relates to different aspects of our being. The seven chakras, in metaphysical terms, are how energy flows through you, according to Hindu, Buddhist, and Jain beliefs. The chakras include the root (base of spine), sacral (lower abdomen), solar plexus (upper abdomen), heart, throat, third eye (between eyes), and crown (top of the head). They are the critical junctions which determine the state of the body and mind. Just as the brain controls physical, mental, and intellectual functions through the nerve cells, chakras tap into the prana or cosmic energy that is within all livings beings and transforms it into spiritual energy. It is believed that our chakras are spinning away from the base of our spines to the crown of our heads in a clockwise motion. Those that are trained in energy work, for example, graduates from the Barbara Brennan School of Healing, can potentially measure the spinning of energies of individual chakras while using a wooden pendulum or by scanning the chakra with the palm of their hands. You can envision how this works by imagining a wall clock hanging on your chest. For those trained in energy work, the practitioner can feel or visualize the hands of the clock either going clockwise, counterclockwise, slow, fast, lopsided or traveling in an oval pattern versus circular. Why is it important to get to know your chakras? What Happens if Your Chakras Are Not Spinning Correctly? A blockage in a chakra area can be the cause of physical or emotional tension or disease in the body. If your chakras are not spinning clockwise, then your health and well-being will not in optimum balance. An unbalanced movement of the spin can indicate problems. When you spin your chakras correctly, energy flows through you easily and effortlessly, and you radiate good health and vibrancy. When your chakras are clogged or not spinning correctly, energy can get stuck, you can feel lethargic, and you may experience physical ailments. If you feel you have damaged your chakras, you have some self-healing to do. You can reform yourself by making positive choices. And, you can do work with the aid of a trained practitioner to realign your chakras. There are also ways to exercise your chakras and fuel them properly with the right foods. You can experiment with manipulating your own chakras by visualizing each chakra. Sit in a comfortable chair and close your eyes. You may play meditation music if it helps you. Start by taking three large breaths. Let each breath be bigger and let your shoulders drop further down on each exhale. Breath normally as you allow your mind to clear. Mentally tune into each chakra at each point in your body. Envision each wheel, vibrantly colored, spinning clockwise at a regular rate. It is believed that you have the power to change the rate of spin of each of your chakras, and you can heal yourself.